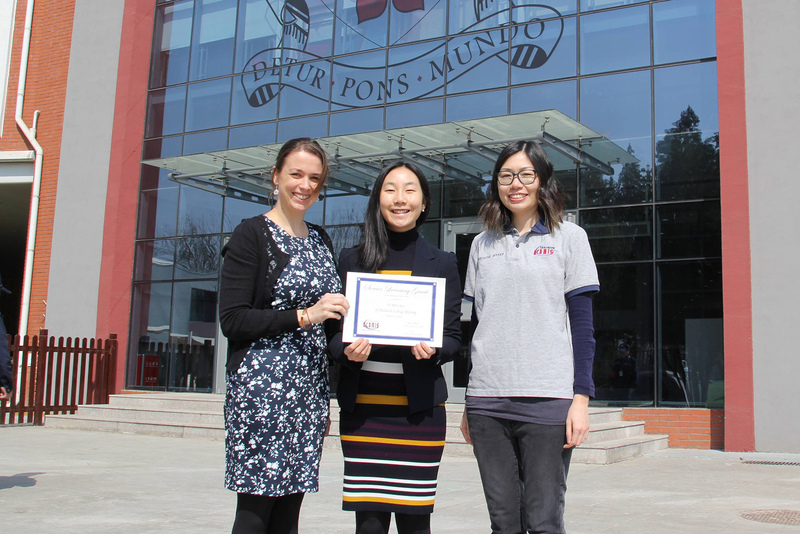 Dulwich College Beijing has been presented with a prestigious ACAMIS (Association of China and Mongolia International Schools) Learning Service Grant, thanks to the initiative of their Head Girl, Yi Wen. Her proposal to help those less fortunate through the medium of a charity debate earned her an ACAMIS grant in the amount of 1,500 US dollars. The money will help support the formation of this project, which Yi Wen plans to develop over the course of the next year. Dulwich College Beijing also received a commendation at the recent ACAMIS Leadership Conference in response to this success. The Association of China and Mongolia International Schools (ACAMIS) consists of 76 member schools. ACAMIS Service Learning Grants have been established to provide financial support for student initiatives in service learning in China and Mongolia. To learn more about ACAMIS please click here.